Showing results by author "Jon M. Ericson"
Tens of thousands of readers have studied and applied this practical guide to instruction in argumentation and communication since it was first published in 1961. 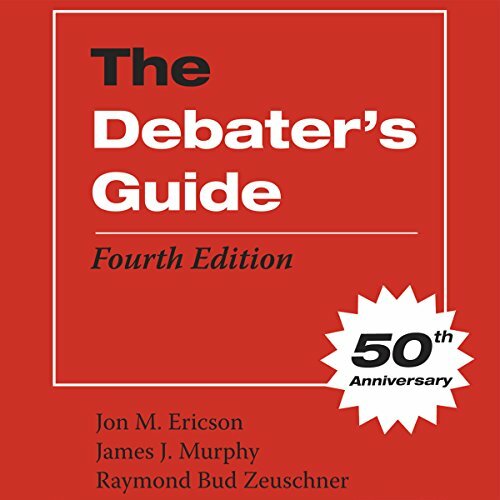 In this fourth edition - the Fiftieth Anniversary Edition - authors Jon M. Ericson, James J. Murphy, and Raymond Bud Zeuschner have made significant revisions to improve the depth, flow, and clarity of this popular debater's handbook. With straightforward explanations and specific applications geared toward contemporary debate practice, this compact volume offers students and teachers clear-cut assistance.